Hunting for some tools and software to convert your favourite URL to MP3? You are at the right place, the given article will guide you to find the best software, apps and online tools on different platfroms to convert link to MP3. 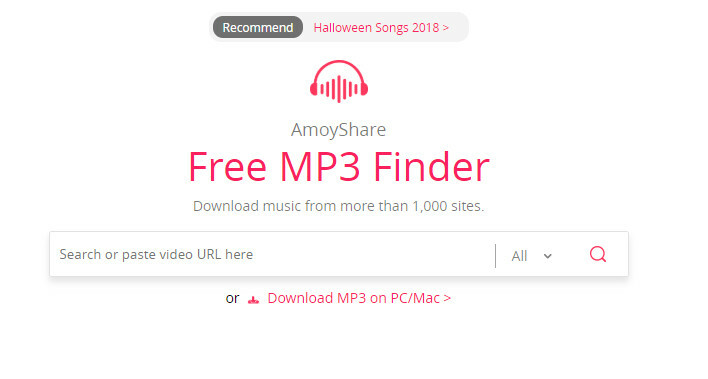 If your favourite piece of music or song is available only on a video site or URL, then don't worry, as link to MP3 converters will help you to get good quality audio file on your local machine. 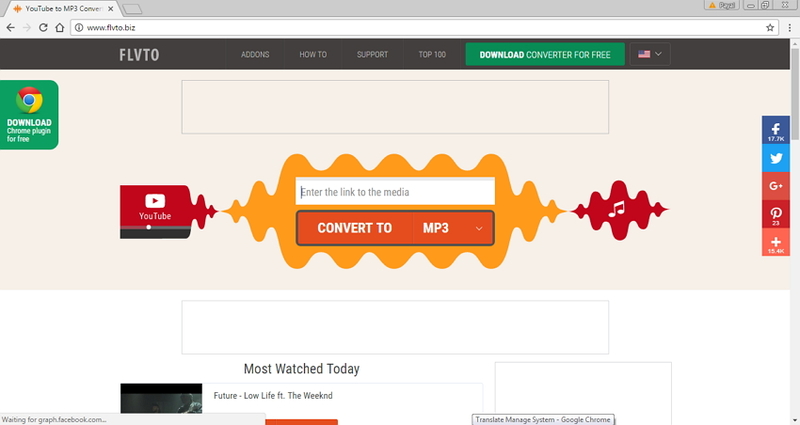 Read below and know the best ways on how to convert URL to MP3. The best way to convert URL to MP3 is by using desktop software. There is variety of the software available for Windows as well as Mac, and you can select the one as per your requirements. Using the software, you can download and convert URL into MP3 format so that they can be enjoyed offline. The list of top 5 links to MP3 converter software is shown as below. One of the best software to convert video link to MP3 is iTube Studio. While using this software, you need to enter the desired URL and select MP3 as the download format. The software supports batch downloading and the speed is 3 times faster. iTube support more than 10,000 sites like YouTube, Vimeo, Vevo, Dailymotion, and others from where you can convert link to MP3. In addition to MP3, the software allows conversion to other 150+ formats including M4A, WMA, WAV, FLAC, OGG and AU. Other features of the software include recording online music, automatically merging HD audio and video files, HD video download, importing local MP4 and FLV files. The software is available for Windows as well as Mac system and has free trial version and a paid version. Step 1 Open the desired URL on your browser that you wish to convert to MP3 format and copy the link. 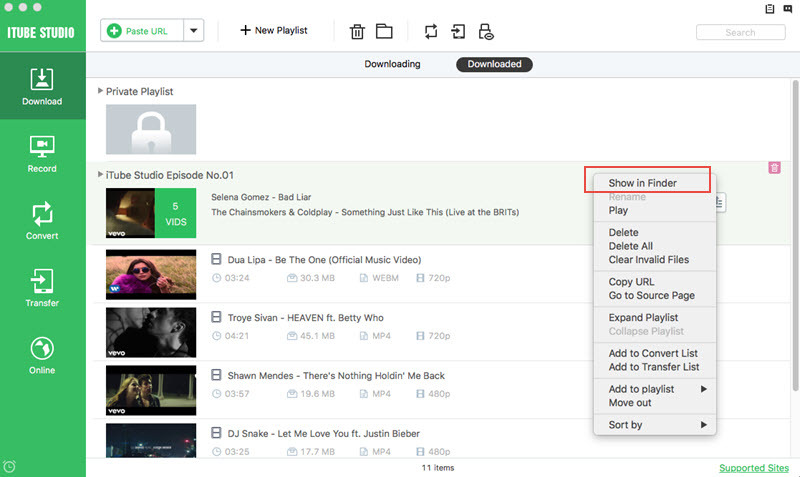 Step 2 Download, install and launch iTube Studio software on your PC/Mac. Now click the inverted triangle icon beside the Paste URL button, and choose Download MP3 in the drop-down menu to start downloading. Step 3 When the downloading process is done, you can find the downloaded video Downloaded library. This is decent software that allows to convert link to MP3. The software supports an array of sites, including YouTube, Blip, Metacafe, Break, Bing and others. The link at the sites can be conveniently converted to MP3 as well as other audio formats like WMA, AAC, OGG, WAV, and M4A using Annesoft YouTube to MP3 Converter. The software is compatible of working with Windows and Mac system, and features a free trial version and a paid version. For downloading, you simply need to copy the URL, paste at the software interface and select MP3 as the download format. There is also an option where you can pause and then continue the download process without any conflict with the other files. The converted MP3 files can be played on various portable players and devices like iPad, iPhone, Creative Zen, Apple TV, PSP, PS3, NDS, Xbox 360 and others. 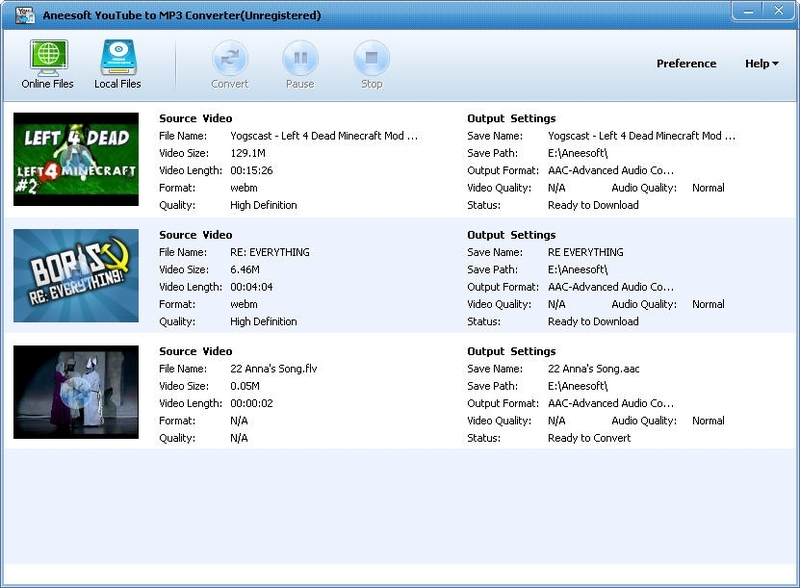 Free Video to MP3 Converter from DVDVideoSoft is professional software that allows URL to MP3 conversion. The software is capable of extracting audio files audio from the video links without any quality loss. An array of input file formats through links are supported by the software including AVI, MPEG, MP4, DIV, MOD, 3GP, FLV, AMV and others. The artwork and the title tag are automatically filled using the software. The snapshot for the same is taken from the middle of the video that is seen in Winamp, iTunes or Windows Explorer folder. Free Video to MP3 Converter is free from adware and spyware, thus it can be easily installed on your PC without any worries. Another decent name in the list of link to MP3 converter software is Free Audio Converter from Freemake. The software is capable of converting music files to more than 50 audio formats, including MP3, AAC, FLAC, WAV, M4A and others. It includes all the modern codecs and can transcode multiple files at a time. The software supports over 500 video formats and links from these formats can be converted to desired audio format without any quality loss. The converted MP3 files can also be added to iTunes library, so that you can enjoy them on your iOS devices. Audio files of the same or different formats can be merged and combined to enjoy your favorite music for hours. Freemake Free Audio Converter also has a feature where you can select cloud service like Google Drive, One Drive or Dropbox as a location for converted files. Using the software, audio codec, channels, sample rate and bitrate can be edited to get the professional results. This software can extract and convert URL into MP3 with lossless audio quality. 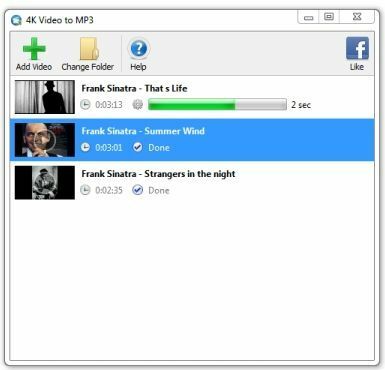 The software supports multiple video formats for conversion, and in addition to MP3 the extracted audio can also be saved in M4A and OGG up to 320 kbps. 4K Video to MP3 allows to select the desired audio quality and format. Audio files can also be added to iTunes for playback on iOS devices. It features a built-in player that can be used to play the downloaded files. The interface of the software is simple and easy to use, and you can install it without any worries as it is free from adware, malware and toolbars. 4K Video to MP3 is free to use and is compatible of working with PC, Mac and Ubuntu system. Apps these days have become an integral part of life as they are available for all types of work, entertainment and other uses. For the music lovers who love enjoying their tracks on mobile phone, apps to convert URL to MP3 will be a better option than using desktop software. Below listed are top 5 apps to convert link into MP3. This app designed by Springwalk works on Android devices and allows converting video files to audio files with MP3 and AAC as the supported formats. The app supports many video formats including 3GP, MP4 and FLV and comes with options of bitrate and meta data for good quality audio. Meta information like album, title and artists can be edited using the app, and it uses ffmpeg and mp3lame library. MP3 Video Converter supports only ARMv7 and higher version. Convert Video to MP3 is an app developed by TMN Trend Media Network and allows to convert link to MP3. The app is available for Android devices and supports multiple video link formats like 3GP, MP4, VOB, MPEG and others. The app allows making settings for bitrate including 8/16/24/32/64/128/192/256 kbit/s. Target directory can also be set in order to save the converted MP3 files. The app is simple to use and can download link to MP3 in just a few clicks. LGPL ffmpeg and libmp3lame libraries are used as codec for video to MP3. Developed by Evan Hurst, Video to MP3 Converter is an iOS app that allows downloading MP3 files from videos and links. The app supports multiple video formats including 3GP, AVI, FLV, MOV, MPEG, MXF and others. In addition to MP3, other audio formats to which links can be converted include AAC, M4R, WAV, AAC, M4A, OPUS and others. Besides links, the app supports video import from album, camera roll, Google Drive, One Drive, iCloud and Dropbox. Custom bitrate, volume and sample rate can also be set using the app and it also supports selection of audio track. Start and end with desired position can also be specified using the app. 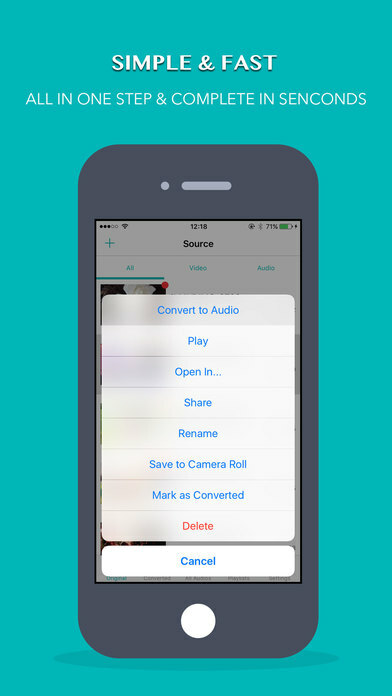 Open in or share with other app feature is also supported by Video to MP3 Converter. Developed by accountlab, Video to MP3 converter is an Android app that allows extracting audio from the video links. Using the app, good quality MP3 files can be extracted from various links supporting multiple formats like MP4, 3GP, WMV, FLV, AVI and others. Ffmpeg and libmp3lame are used as library for link to MP4 conversion. The interface of the app is simple, it is fast and also features integrated MP3 cutter to make ringtones from favorite songs. For advance use, the app features advanced mode MP3 conversion and it supports bitrate 48/64/128/192/256/320 kb/s. 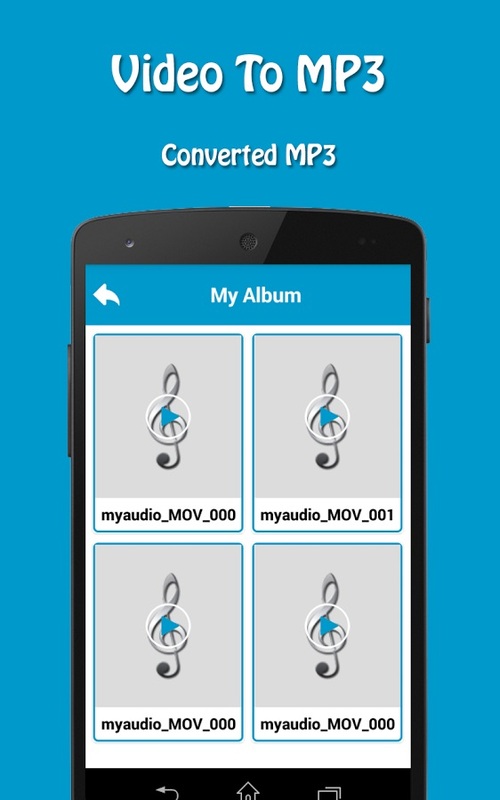 Developed by XCS Technologies, MP3 Video converter is an Android app that can convert URL to MP3. The app supports multiple video link formats including 3GP, MP4, FLV and others. In addition to MP3, it can convert the link to AAC audio format as well. The app supports bitrate of 8/16/24/32/64/128/192/256 Kbit/s. MP3 Video converter also has an option where you can update ID3 tags and metadata information related to title, artists and album of the MP3 files. The app makes use of LGPL ffmpeg and libmp3lame library as codec and support only ARMv7 and higher. Another feasible and quick option to convert link into MP3 is by using online tools and converters. These tools or converters are used as direct websites and does not need to be downloaded and installed. Majority of these online converters are free and comes with decent feature list. Below given is the list of top 5 online URL to MP3 converters or tools. One of ten most widely used converters is Free MP3 Finder that allows quick link to MP3 conversion. Using this site, you simply need to paste the desired link at the site textbox and select MP3 as the converted file. Free MP3 Finder converts video links with different formats to MP3 audio files without any loss of quality. 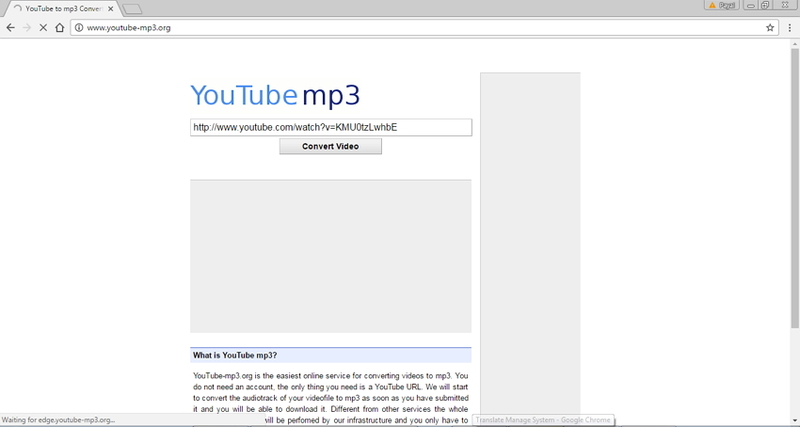 YouTube-mp3.org is an online site that allows converting YouTube links to MP3 format. The site is platform independent and can work with PC, Mac, Linux as well as iPhone. You simply need to enter the desired URL at the site and click “Convert Video” option to initiate the process. The URL will be successfully converted to MP3 and can be downloaded from the site to your local machine. The tool supports good quality conversion with at least 128 kBit/s. http://www.youtube-mp3.org is a free and simple tool to use. Another online tool that comes to rescue when you are looking for option on how to convert link to mp3 is convert2mp3.net. Using this online tool, video links from various sites like Dailymotion, YouTube, Clipfish and Vevo can be easily converted to MP3 audio file. The site is free to use, does not need any registration and the conversion process is quick. In addition to MP3, http://convert2mp3.net/en/ also supports other audio formats like M4A, AAC, FLAC, OGG and WMA. 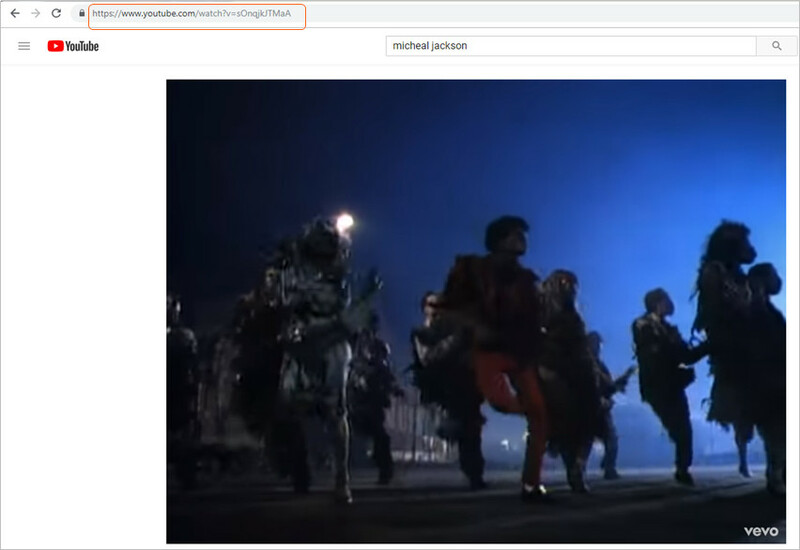 The site also features an option where you can search for the desired YouTube link directly on the site. 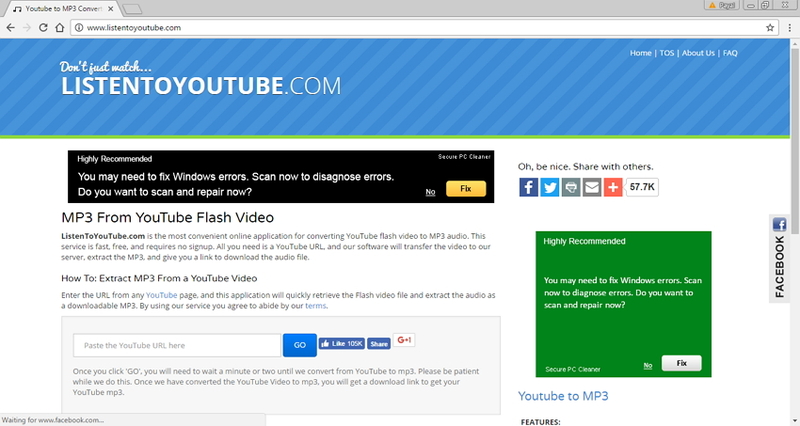 Another URL to MP3 online tool is http://www.listentoyoutube.com/ that allows converting flash videos from YouTube to MP3 format. The site is free to use and needs no sign up. You need to enter the YouTube URL at the site textbox and click GO to initiate the conversion process. Once converted the MP3 file can be downloaded from the site. The conversion process at the site is quick, simple and without any loss of quality. Another popular name in the list of online link to MP3 converter is FLVTO. The site can convert video links to good quality MP3 files quickly. FLVTO is capable of working with Windows, Linux as well as Mac system. In addition to MP3, http://www.flvto.biz/ can convert links to AVI, MOV, MP4, WMV and others formats. The site supports list of popular sites like YouTube, Metacafe, Vimeo, Facebook, Dailymotion and others. 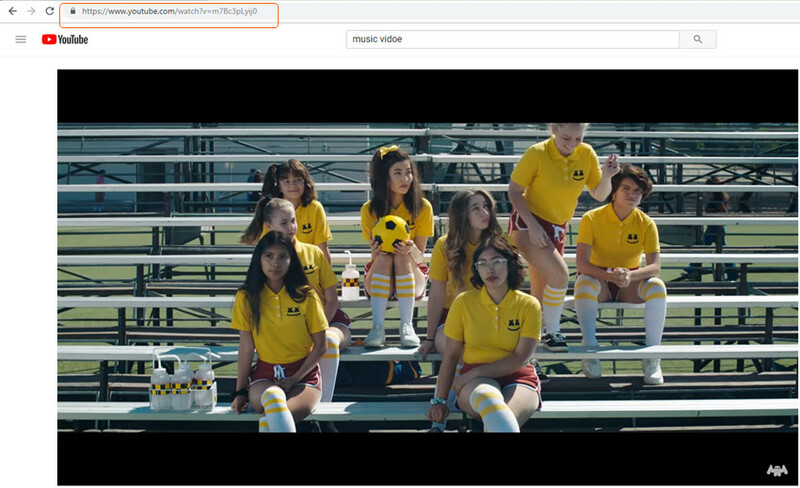 You need to paste the video URL at the site and click CONVERT TO MP3 option to start the process. Plug-in of this online tool is also available for various browsers. Once the file is converted, it can be downloaded from the site, sent through email or can also be sent through Dropbox. Thus whenever you are looking for options in how to convert URL to mp3, one of the above link to MP3 converters will surely help you.